Mix the pieces of bread with the milk and let sit for 15 minutes. Add the mixture to a previously greased and floured mold and bake for one hour. If you like, omit the rum and add 4 tablespoons of orange juice instead. Those who know me know that the pastries I enjoy making most are all traditional Colombian recipes. I love making them because they're a way for me to tell my kids about the dishes I enjoyed when I lived in Colombia. 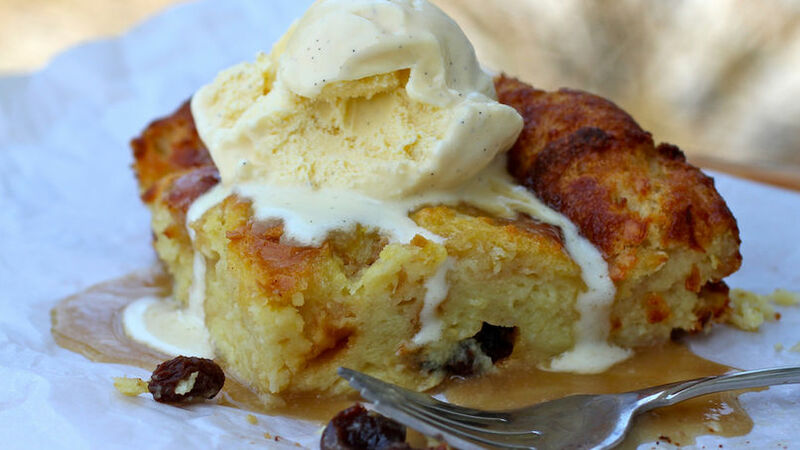 One of the traditional Colombian pastries I love most is rum cake with raisins. It's a simple pastry, but that doesn't make it any less delicious. Quite the opposite! It’s packed with so much flavor that one bite just won't cut it. Personally, I love the creamy and soft texture typically found in this type of cake. And as you can see in the photo, this recipe is no exception! I also don't like my bread to take a back seat in this dish, but rather be an integral component that absorbs the juicy flavors and gives us spongy and delicious bites each and every time.